So you persistently ignored the airbag recall for your car, putting any insurance cover in doubt. Guess what? Having your car deregistered makes it even worse now. The State Government has toughened measures to enforce the safety recall with the Transport Department to start cancelling the registration of thousands of vehicles fitted with potentially deadly airbags within weeks. More than 325,000 Queensland vehicles have reportedly yet to replace faulty Takata airbags with 2505 of those fitted with the older alpha model, considered so dangerous that affected vehicles should not be driven. 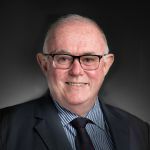 Prominent Brisbane compensation law specialist Mark O’Connor has applauded the state government move, saying it appears that some people have to be protected from themselves. “It’s important that we get potential death traps off the road which pose a risk not only to the drivers who are not getting the airbags fixed but also their unsuspecting passengers,” he says. Mark O’Connor, an Accredited Specialist in Personal Injury Law and a Director with Bennett & Philp Lawyers, says vehicle owners who deliberately ignore the nationwide Takata airbag recall are putting not just their safety but also their insurance cover at risk. “If you are involved in an accident caused by another vehicle and your airbag deploys, spraying shrapnel everywhere, you might not only suffer serious injury but find that the insurer for the responsible vehicle could refuse to cover you for your injury claim,” he says. The same would be true if a vehicle was deregistered. No registration, no insurance. A Transport Department spokesperson has said authorities would begin cancelling the registration of vehicles after the Australian Competition and Consumer Commission provided them with a list of owners. “If a member of the community receives a defect notice, we strongly recommend they contact their local dealer or manufacturer immediately to have the vehicle repaired,” she said. “Failure to comply with the defect notice may result in the cancellation of registration for the vehicle”. Mark says the message is quite clear and considering replacement of the defective airbags is free he can’t understand the thinking of those who are ignoring the recall. “There’s really no excuse for putting this off because your life or the lives of your passengers could really depend on it,” Mark says. To find out whether your vehicle is affected by the safety recall, enter your vehicle’s registration details at IsMyAirbagSafe.com.au.